A New Keyword Match Type - Phrase Match Modifier - eBiz ROI, Inc. 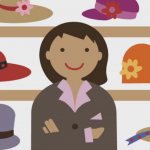 When it comes to online marketing, your ultimate goal is to attract new customers. In order to do this, you create ads, design a website, and more all to cater to their needs. The first step in generating leads for your business in this way is through the use of keywords. As you know, keywords are the “keys” which “unlock” your ad’s ability to show when a Google user makes a relevant search query. Deciding which keywords to use for your campaign is often a big part of setting strategy in AdWords. There are, however, several different “match types” for keywords. 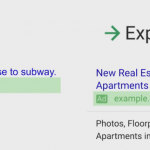 This means that based on the match type you choose, ads that are linked to keywords can show for different kinds of queries. 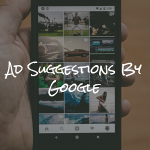 Broad matches, for example, will show your ad whenever someone searches for the phrase you entered, stemmings, similar phrases, singular or plural forms, and other relevant variations. As the name suggests, broad is pretty inclusive. Exact match, on the other hand, is very narrow in the scope of variation it allows for. What if there were a middle approach? Enter Phrase Match Modifier. 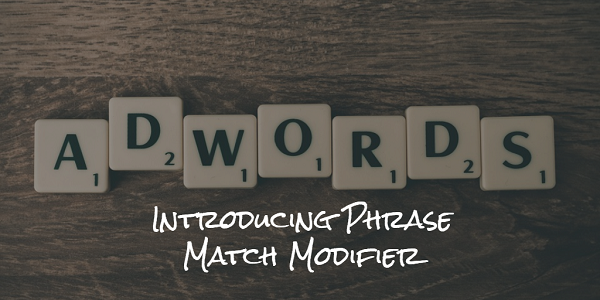 Today on the blog, we’ll be discussing a new match type for keywords: Phrase Match Modifier, or PMM. Let’s have a look. Think of PMM as a sort of mashup of modified Broad match and Phrase match keywords. Let’s say you have a particular keyword where you want some words kept in the same order. At the same time, you want variation to be allowed, more so than usual under phrase match types. You could do “+something.like.this.” The periods in between words with a “+”, bind the words within the keyword together, in that order. Though the entire keyword will be broad match, within the keyword, those words will function like a phrase match. Neat, huh? This will probably be most useful when the specific order of words could significantly change what they mean. An example: if you’re promoting an ad for a new car charger, then a search for a charger car (Dodge) is not relevant to your ad. Given that every click costs you money in AdWords, you’ll want to be driving the most relevant traffic possible to your website. A great potential use for this could be to add geographical modifiers to phrase match terms. Does This Affect Quality Score? Outside of potentially affecting click-through rate, PMM has no discernable impact on quality score. This should hopefully put some fears you may have had about using the type to rest. Because Quality Score is calculated for every auction, the keyword itself only serves to enter an ad to the auction. The keyword text itself doesn’t go into the calculation. It just opens the door. Though there is still testing that needs to be done to see how Google’s system will handle PMM, stemming in this type is fairly limited. PMM will allow for limited stemming, such as plural/singular or close variants, but the phrase portion is fairly conservative. Typically, this match type will not include abbreviations, so be careful of that when deciding whether or not to use it. 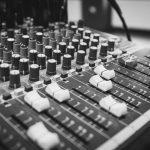 Without really impacting quality score, Phrase Match Modifier offers a potentially powerful new way to reach relevant searches on your terms. Less comprehensive matching means you can avoid having to make lengthy keyword lists. 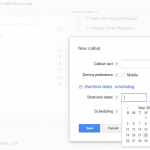 This enables you, of course, to spend more time managing your campaigns and making them successful. By mixing broad and phrase match types, PMM can create new opportunities for your campaigns. Though keywords are a simple topic on the surface, they are fundamental to understanding and getting the most out of AdWords. Hopefully this new match type finds some use for you.